The article, They want to paint it black, was featured on the front page of the Philadelphia Inquirer home & design section. Inquirer writer, Samantha Melamed, interviewed Main Line interior design expert, Linda Dooney, about her use of this nearly black charcoal-grey color. See the full article on Philly.com here. The full text is also available here. 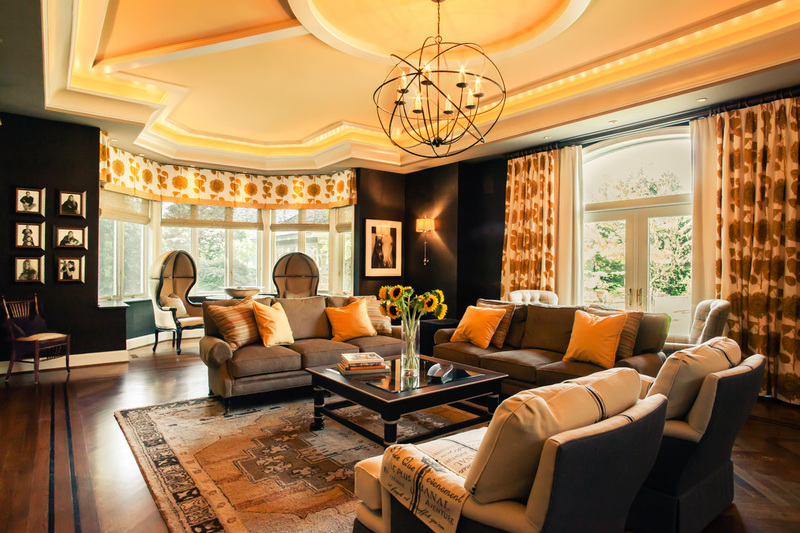 More photos of this beautiful Main Line living room interior design follow.